Hamman Beach Resort & Spa is situated on Pattaya Beach, Koh Lipe, a small island of Satun Province in the southern part of the Andaman Sea. luxury Style Hostel, less than 20 meters from Bangrak beach, opposite Big Buddha Pier boat crossing to Koh Phangan. Lounge Bar Restaurant . Coconut Villa Resort & Spa is located on Thong Tanote Beach, a secluded beach on the south coast of Koh Samui, offering breathtaking scenery of the Gulf of Thailand. Cabana Grand View on Koh Samui is a unique deluxe hotel located on the hills overlooking Chaweng and Chaweng Bay on the east side of the island. All luxurious rooms are specially provided with private balcony with panoramic sea view. A small guest house for Budget Traveller, provided clean room, safe and family atmosphere. 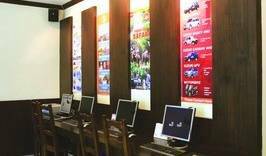 Thai Budget Guesthouse in Chiangmai starting at 10 Euro. ! Siri Baan Thai Guesthouse near Chiang Mai Night Bazaar. Lonely Planet calls us "A Great Crash Pad Vibe" and Rough Guide says owner very friendly and rooms very clean. Stay with us!
" It is more than a hostel " " FREE Hi-Speed Internet in the lobby and restaurant is available for all guests"
Bungalow resort located right on a secluded beach near Ao Nang in Thailand's south. New build guesthouse in Ao Nang, located in the lovely Leela Valley with Mountain View, and only a 15 min walk to Ao Nangs perfect beach. Located in a quiet section of Ao Nang near the National Park, the Happiness Resort offers brand new, spacious bungalows. 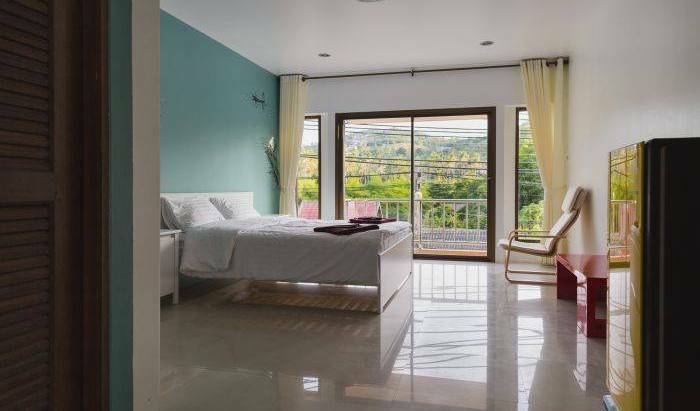 Little Home Ao Nang is a small hotel and a few minutes walk from the beach and few more to the heart of Ao Nang nightlife. "Lovely rooms in Bangkok" If you would like to rest in an environment far removed from the stress of modern life, or experience the original ways of Bangkok villager's life then come and visit BAAN TARINEE. 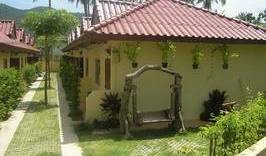 The Royal Sammuk Villa House Ang-Sila, Bangsean Chonburi: Providing your requirement of Room Rental, Villa Rental with 7 designs house types. Premium Quality / Energy Saving / Extraordinary deluxe, grand deluxe room and villa 3 – 6 Bedrooms. Hotel, Bar, Restaurant, Phuket Sur le port de Chalong, en route vers les Iles , plongee, snorkeling, peches, toutes les activites sont disponible sur place. Banburee Resort & spa is centrally situated at Laem Set Beach, the hideaway part of Samui Island, Suratthani Province. Its location is surrounded by lines of mountains and faces the breathtaking view of Koh Samui beach. Situated in Kalim Bay, to the North of Patong, Phuket. This Mediterranean style, 4 storys hotel, has 31 air-conditioned rooms and terrace’s over looking the magnificent Andaman sea. A quiet but convenient, clean, friendly and cheap lodge with easy rail, bus and taxi access to all of Bangkok. The New Empire Hotel is situated in the heart of business of China Town. Only 40 minutes away from Suvannabhumi International Airport, 5 minutes from train station where the expressway entrance and exit is just next to it. Princeton Bangkok full serviced residence with facilities of a hotel in a short 30 minutes drive from Suvarnabhumi International Airport. Panviman or Paradise alike is designed to be in harmony with its natural surroundings. Maitria Hotel Sukhumvit 18 Bangkok - A Chatrium Collection is a modern lifestyle hotel in the downtown district of Bangkok, right next to some of the city’s best shopping and dining hotspots. Maitria is all about comfort, culture and connectivity. Area Residence Sathorn defines comfortable living in the heart of Bangkok. Specially designed to provide modern convenience and a wide range of facilities for business individual and their families. Funky Box is a centrally located 16 bed dormitory in the center of Chiang Khong. It is adjacent to it's own bar; THE HUB PUB and serves food and optional breakfast. Largely visited by backpackers, it is the ideal place to meet fellow travelers. Located only one minutes walk from the Haadrin Pier, two from the legendary Koh Phangan Full Moon Party and only seconds away from a vast array of shopping and culinary delights, BT hostel is Haadrin's finest boutique hostel. Lotus Suite a newly established is situated in a convenient location of Hua Hin City Soi 94 and surrounded by shopping center, hospital, market village, train station, many restaurants and night life with a short distance to Hua Hin’s attractions. The Nicha Suite hua hin is Classical Thai-style modren hotel. Nicha hua hin hotel and spa is the perfect snug oasis in which to unwind. 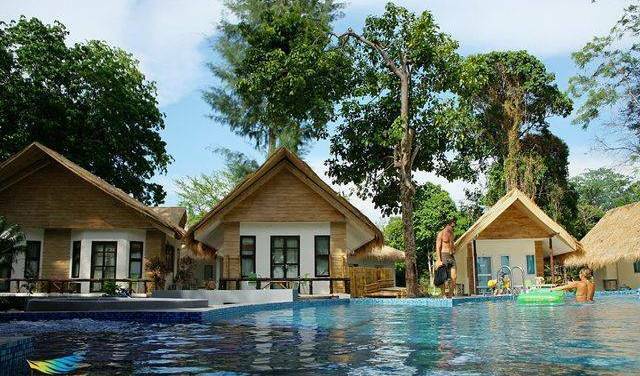 Pranburi Cabana Resort, a Natural and Beauty Resort offers 18 comfortable villas with a touch of an independent and beach activity for your splendid holiday. Ali Baba Boutique Resort, The Dubai style boutique resort blended perfectly with the Modern Colonial interior designs, making The Beach Ali Baba Boutique Resort the right combination for relaxation at Hua Hin, Pranburi, Thailand. Only 50 metres from the Beautiful Jomtien Beach! Location is key to a great holiday and we have a great location with beach, public transport and lots of local Restaurants on our door step!. Long term rentals and rooms only. Beach side fishing village condo. Luxurious rooms in rustic setting. Most outstanding among others, the hotel features 580 rooms decorated with the blend of elaborated Thai and contemporary theme, yet with full facilities and hospitalities. Pung-Waan Resort & Spa is conveniently set on the bank of the Kwai Yai river, only 2 k. m. from the famous Bridge of the River Kwai, yet far away from the busy life of downtown Kanchanaburi. It is only 150 k. m.
Welcome to the land of beautiful mountains and riverine of Western Thailand. Here, Pung-Waan Resort hasbeen created as a sanctuary for your retreat on the bank of the Kwai Noi River, a tributary of the famous River Kwai. 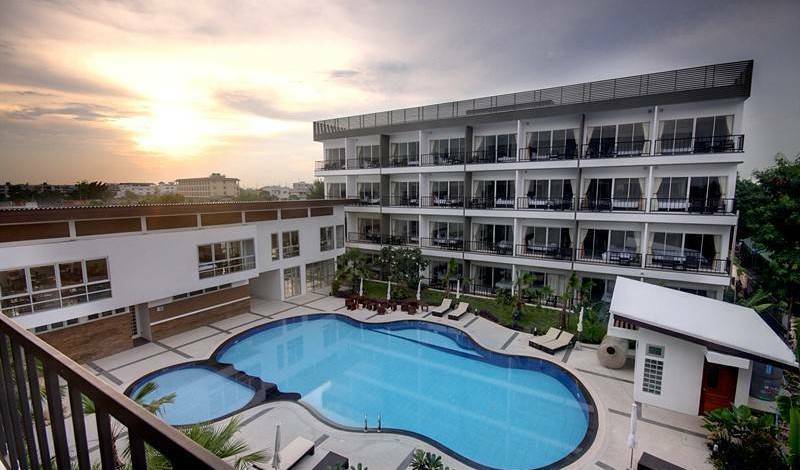 The resort features 210 contemporary Thai-style furnished rooms in 3 interconnecting low-rise buildings. Five swimming pools are set amongst exoticly landscaped gardens that will bring the guest nearer to the tropical natural beauty of the resort. Modern and luxury rooms and great prices. Located near the beach in Kata Beach at Phuket. A small luxury place in the heart of Phuket island and nestled in the green hills of Kathu, a place of heaven and romance. A 2-minute walk from Long Beach, Lanta Long Beach Hostel offers tropical rooms with air conditioning. The large outdoor pool is great forlounging on sunny afternoons. Free parking is available on-site. A 2-minute walk from Long Beach, Lanta Sunny House offers tropical rooms with air conditioning. The large outdoor pool is great for lounging on sunny afternoons. Free parking is available on-site. Lanta Manda " Become our Family"
A Brand new hostel in Thong Sala - Baan Tai area. 14 bed mixed dorm with friendly family management. Small family run resort just steps away from Haad Yao Beach. Secluded but only minutes away from the bussy beach of Haad Yao. The ideal place to relax in paradise. My Phangan Resort is the perfect place for travelers who want to relax and get back to the nature in the peace and serenity of their own private bungalow. 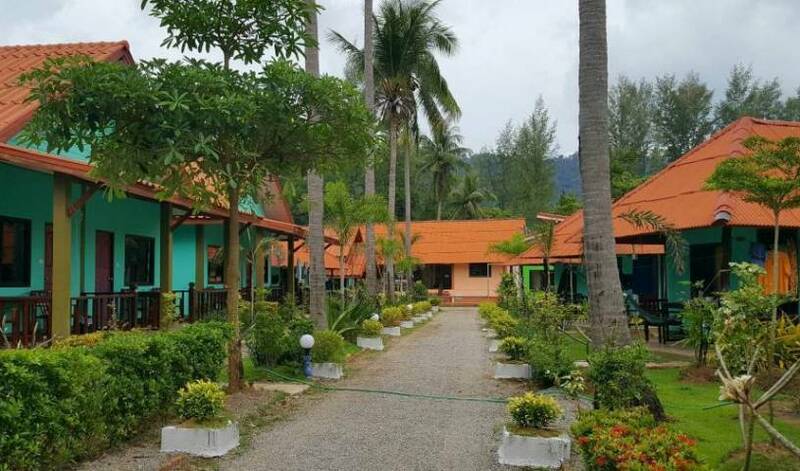 The first butique resort at HAADYUAN, Koh Phangan. Koh Phangan is located in the central part of the Gulf of Siam, as a district island in Suratthani province.